Inicio/Spanish Language, SpanishviaSkype, This is Spain/What do our Spanish students think about us? What do our Spanish students think about us? 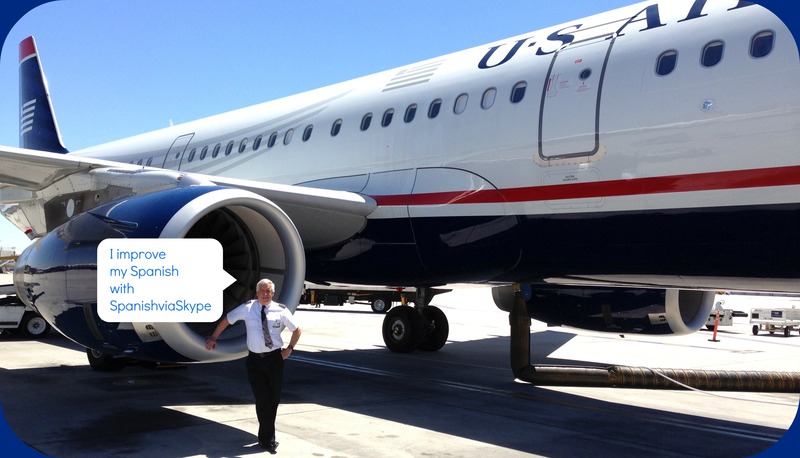 Al Day is an American pilot who loves Spanish language. In June 2012, Al decided to trust SpanishviaSkype to improve his level of Spanish and, after more than 140 classes, he continues to study Spanish with us with the same enthusiasm. Do you want to know what does Al think about our Spanish classes on Skype? In July Al decided to come to Spain with his wife. It was the fourth time that he came to our country! “I love Spain because of the people and I also like its meal times. I love having dinner at a restaurant at 10 pm!!“. 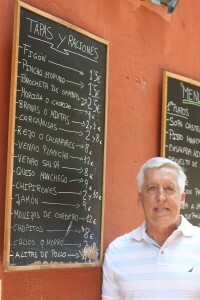 Al and his wife Peggy visited Madrid, Toledo, Segovia (they tried cochinillo at José María restaurant and they loved it!) and Barcelona. He loves Spain so much that he decided to come again in October for three weeks! “Madrid is a great city. Here, I feel like home”. He visited Aranjuez, Chinchón and El Escorial, three beautiful cities near Madrid, where he could practice his Spanish. Great job, Al! “I have been studying Spanish for a number of years. Every so often I would attend a language school in Spain, which I found quite rewarding. However, after returning home, my newly learned skills would soon disappear. I have been using Spanishviaskype for more than a year and I am really excited about this new way to learn. With native Spanish speakers and their knowledge of grammar, I now feel as though I will finally reach my goal of becoming fluent in this great language. It’s wonderful to get expert instruction in the comfort of my home!“. Take two minutes to see this video. Al shows us part of his visit to Spain (summer 2013). He had a great time!